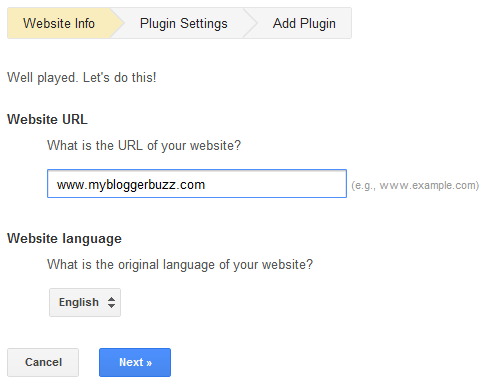 My Blogger Buzz: How to Add Google Translate Button in Blogger? How to Add Google Translate Button in Blogger? People that live in the world consist of distinct casts and culture and they speak different languages. Approximately about 6k to 7k languages are spoken in this world, now coming towards blogger blog many of us normally built each of our website in English, the reason to doing so is that English is an overseas language widely spoken throughout the world. By creating each of our blog in English we have been doing right, but what for the those readers that don’t understand English that well, taking this aspect planned Google has made something which can translate your blog in about 58 + languages. In this tutorial we will teach How to Add Google Web site Translate Button in Blogger. So lets start rolling your fingers. How to Add HTML Links in Blogger Comment Box? To start with login to your Google account and openGoogle Translator page, now click on the button saying “Add to your website now” located in the upper right corner. Now you have entered in the adding website page, under the heading of ‘website URL’ enter your blog URL (www.MyBloggerBuzz.com) for which you want a translator button. Now select your website original language from a dropdown list placed under the heading of ‘Website language’ and click on Next. 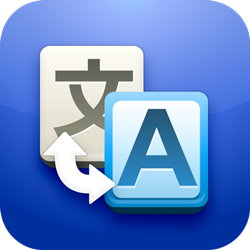 Now you have the options, Translations language and Display mode. You can choose “All language” to set all languages available in the drop down list. Display mode has three options vertical, horizontal and Dropdown only. Once you are done with the settings Click on “Get Code” Button. Copy the first piece of code and go to Edit HTML section on your blog and search </head>, simply paste the copied code above and save your template. Next step is to copy the second piece of code and paste it where you liked your translate button to be positioned. We recommend you to place it in the sidebar of your blog and to do this go to Layout and Add a Gadget >> Add HTML/ Java Script to the sidebar then past the second copied code and click save. Congrats You have successfully added Google Translate Button to your Website and you are ready to impress a lot of worldwide visitors. Now It's your turn to share this post with your friends and write your views in comments till then Peace, Blessings and Happy Translating.